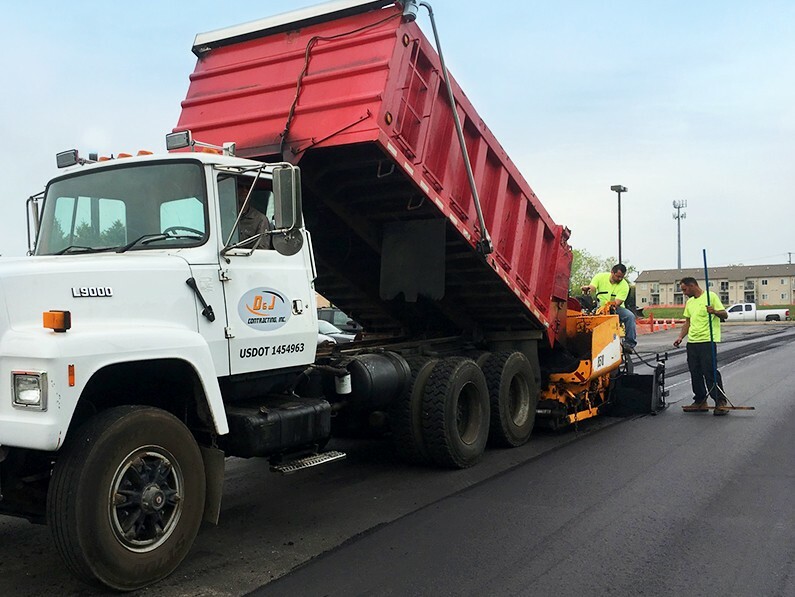 Complete Asphalt Services | D&J Contracting Inc.
D&J offers complete asphalt maintenance and installation services, including new installation, resurfacing, patching and pothole repair. 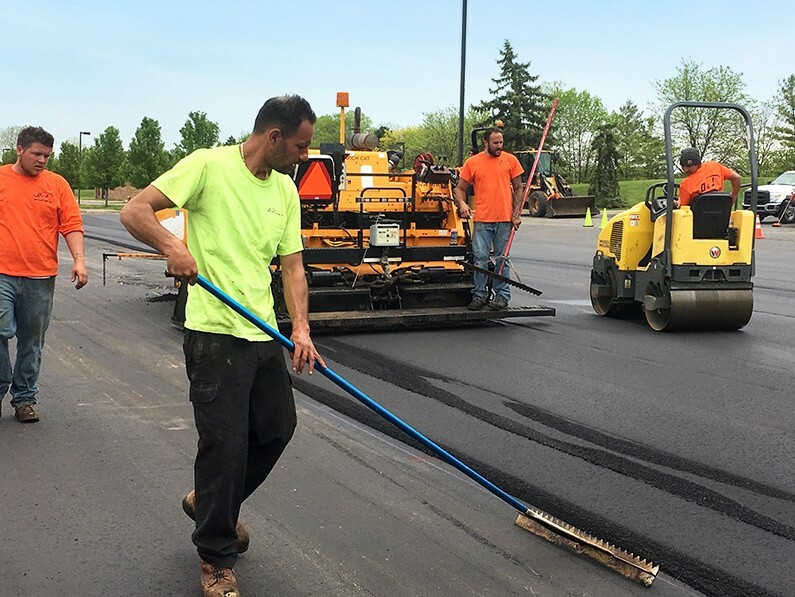 The extremes of Michigan weather can be harsh on asphalt surfaces. If not properly cared for, asphalt becomes riddled with potholes, oil stains and buckling. Repairs are costly, and often the entire asphalt surface must be replaced. Avoid the expense of repairs and replacement with a preventive maintenance plan. D&J Contracting, Inc. can help you maintain your asphalt surfaces for 15 years or longer without replacement. Properly installed asphalt is a long lasting investment. 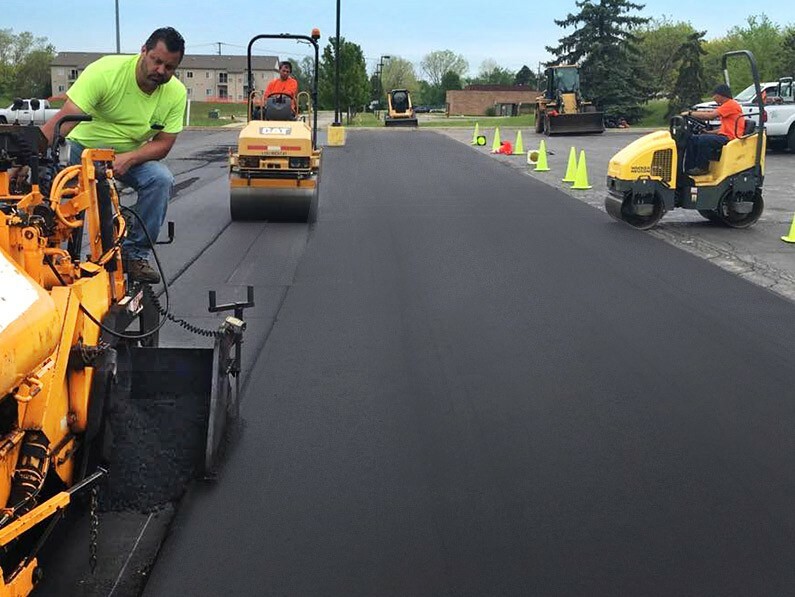 D&J emphasizes a strong foundation, correct grading and compacting according to industry standards to ensure your asphalt holds up to the elements for years to come. Resurfacing asphalt, or “capping,” adds a new layer of asphalt over the existing asphalt. While this option typically does not last as long as replacement, it is an economical alternative and ideal for many situations. Patching is ideal when only small areas of asphalt have failed and can delay the expense of a total replacement. 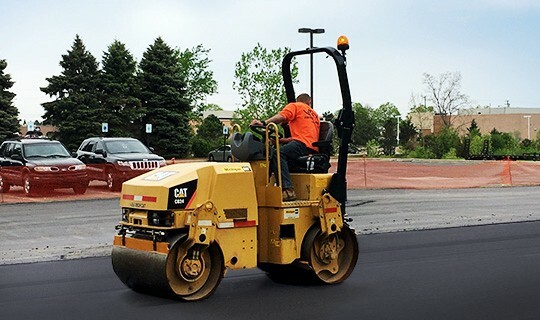 D&J neatly cuts out damaged areas as well as removed unstable base materials and replaces them with new base and smooth asphalt. The constant freeze-thaw cycles of Michigan winters cause sections of asphalt to break apart, creating potholes. Potholes damage vehicles and create dangerous tripping hazards. D&J offers pothole filling and repair services to eliminate these hazards and prolong the life of your parking lot or driveway. Got a Question? Call us we’ll be happy to help.